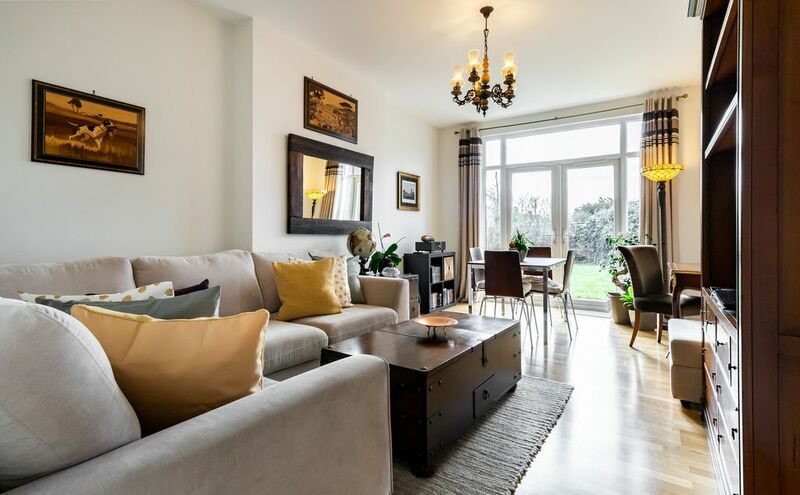 Our relaxing and warm home is situated in the ground floor of a typical Edwardian house, in a residential neighbourhood lined by these characteristic houses and peaceful, clean streets, less than 10 minute tube ride from Baker Street and about 15 minutes from Oxford Street by underground. The mornings and afternoons are particularly bright in the living - dining room, overlooking a tranquil and green garden. Located in a quiet pocked of Willesden Green, and about 12 to 15 minute walk to the tube station served by the fastest and newest of the underground lines, Jubilee - just 15 minutes from Central London, our home is an ideal base to explore London while enjoying the comforts and relaxation of a home away from home. Our spacious apartment is fully equipped with all the necessary commodities to make your stay comfortable and hassle free. The living dining room has a large window with plenty of natural light and a private garden. It is equipped with a beautiful desk and chair and a large L-shape sofa with flat screen TV. The bedroom is spacious and has a king size bed, bedside tables and wardrobe. A comfortable bathroom with bath/shower, and kitchen with all the necessary utensils, including washing machine.